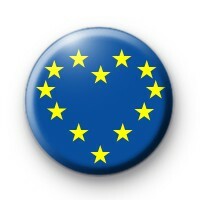 This is a listing for a 1 inch button badge of the European Union Flag with the yellow stars forming a love heart. Are you devastated to be leaving the EU after the recent referendum vote. Show your support by wearing this Pro EU button badge. We have a great selection of Pro EU badges in the shop, so make sure you check those out.